Still smarting from a ‘and don’t bother to ask for pudding’ review on the first week of opening Ben’s Wine & Tapas, we have now introduced a range of desserts in jars which are going down a storm. 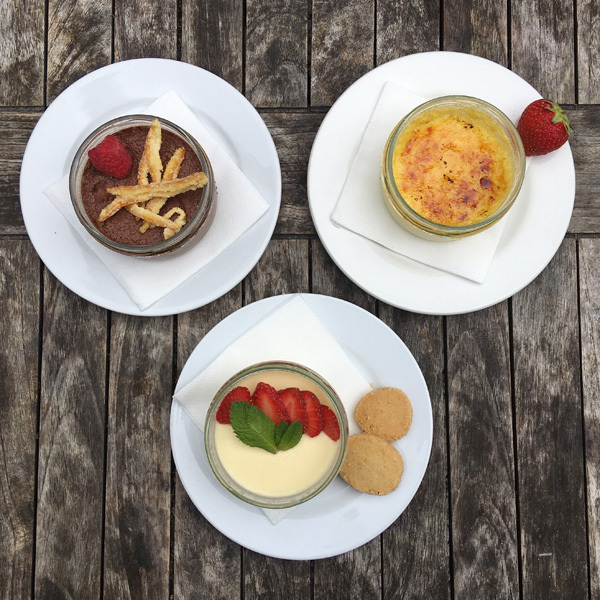 They include a light and creamy lemon posset, a rich crème Catalan custard, and chocolate and orange pots with candied orange peel. I remember, back in the day, asking for a pudding in a Barcelona tapas bar and getting a choice of mass produced, plastic potted, flans. Hopefully the only theme we’re sticking with here is the pots. Let us know what you think.